Even though the institution of marriage is present in every culture across the world, it is clear that most of humanity does not know or apply the fullness of God’s wisdom to marriage—they miss the mystery, and all the joy it unlocks! 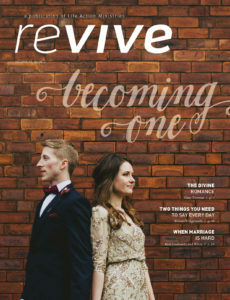 In this issue, we address some of the joys and hard places of pursuing marriage as God intended. Jesus takes personally what we do or say to other people. When God’s people are reconciled to each other, they make the gospel believable. As we submit to the authority of the Word of God, the lordship of Jesus Christ, and the leadership of the Holy Spirit, we are the glad beneficiaries of God’s blessing and guidance. 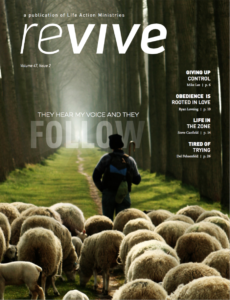 Jesus said, “My sheep hear my voice . . . and they follow me” (John 10:27). As one of the two most important commandments in all of Scripture and a direct evidence of being made alive in Christ (1 John 3:10), it’s important to ask ourselves this simple question often: Am I loving others well? 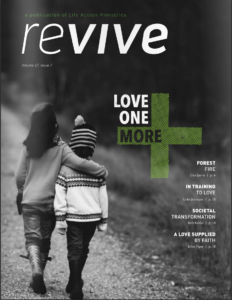 What does revival look like? What can we expect to see when God changes a life or makes His manifest presence felt in a congregation? 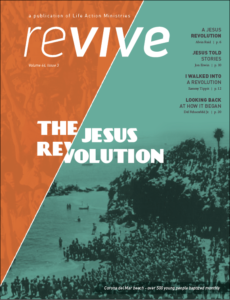 This issue includes first-hand telling of what radical obedience and dramatic life change looked like during the Jesus Revolution and how we can apply it to our lives. There is only one path to greatness in the sight of God: humility. When Jesus taught that the “first will be last,” what did He really mean? 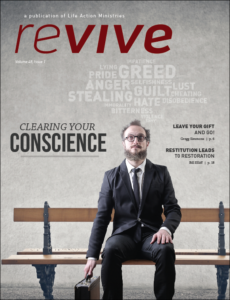 How can I walk humbly with God while still striving to serve Him boldly? And what if pride is silently compromising my work for His kingdom? 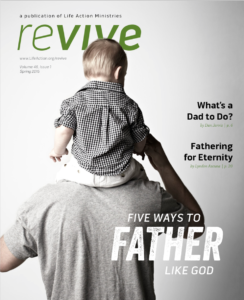 This issue of Revive explores fresh vision for Christian fatherhood based on the best example of all—God Himself. Enjoy thought-provoking questions, challenges, and encouraging stories by dads about their struggles, victories, and hopes. Then, take home some practical wisdom to increase the earthly and eternal success of your fathering.